Discover a selection of quality self-catering holiday cottages close to the Exmoor village of Withypool here. My Favourite Cottages have a great range of holiday homes in Withypool, one of Exmoor's most loved villages. Holiday Cottages near Withypool include a small group of traditional stone cottages that have been thoughtfully renovated throughout. Leys Cottages on the edge of Withypool are two semi-detached holiday lets sleeping 4-6 guests, for for larger groups wishing to stay near Withypool, book both self-catering cottages to accommodate groups of up to 10. These Withypool based self-catering properties provide excellent self-catering accommodation for couples but also are ideal for anyone looking for a family friendly holiday cottage or dog friendly self-catering holiday let in and around Withypool. Looking for a large holiday cottage on Exmoor? Then look no further than the luxury, 7-bedroom Foxtwitchen, a group and family friendly holiday home near Withypool and with outstanding views of Exmoor. 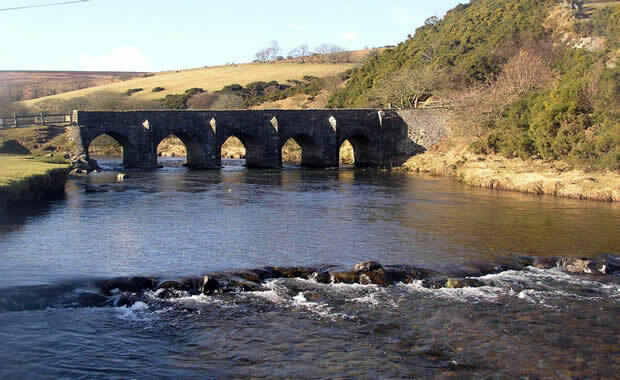 For a walking holiday on Exmoor, our Withypool holiday rentals are close to a number of excellent walks that pass right through the village, including the Two Moors Way and a four mile walk along the edge of the river to the famous Tarr Steps. Surrounded by open moorland, Withypool lies on the north side of the river and inherited its name from the willow trees (or withies) growing alongside the riverside. A gorgeous six arched bridge, Withypool Bridge built over 100 years to replace an old packhorse bridge proudly crosses the river. With traditional buildings and Olden World petrol pumps, Withypool is noted for having retained its countryside character. Home to a village shop (and post office), pretty Victorian tea rooms and The Royal Oak Pub, renowned as one of the best on Exmoor serving excellent ales and home cooked food, Withypool offers a fantastic base for walkers and those looking to explore Exmoor. The town of Dulverton, the pretty Somerset village of Dunster and coastal town of Minehead are all within a 30-minute drive away from Withypool and offer great days out for those wishing to explore the area further. There are also various attractions nearby, as well as many outdoor activies to discover, including horse riding on Exmoor, canoeing down an Exmoor river or enjoying an Exmoor safari, which gives visitors an excellent chance of seeing some of the local wildlife, such as the Red Deer.